What belt do I start on? Everyone starts out as a white belt and we work with you to get you ready to for your next grade – yellow belt. What is a karate instructor called? Sensei. Our instructors are: Sensei Paul (3rd Dan) and Sensei Justine (2nd Dan). What can I expect in a karate class? Each class is different, which keeps it interesting! Classes start with a warm up and stretching and then delve into the lesson, which will be structured around improving an element of your training – from punching and kicking to movement, flow and fighting strategy. What kind of karate does Samurai Dojo teach? 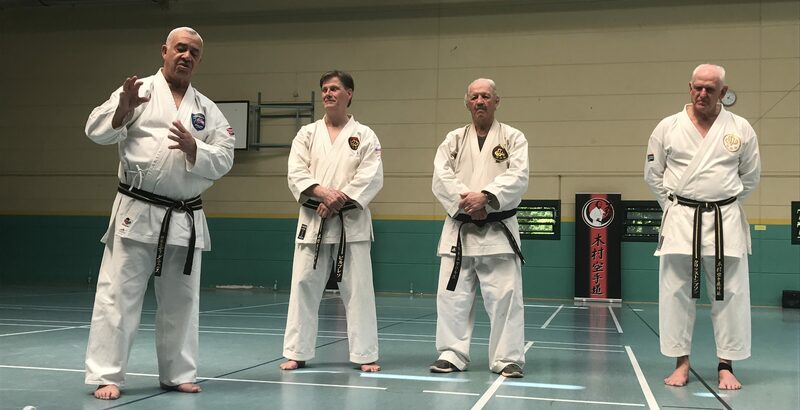 We teach Kimura Shukokai Karate, and are affiliated to Kimura Shukokai International, one of the largest single style karate organisations in the world. Our instructors travel around the world each year to train with Kimura Shukokai masters and senior instructors so they can bring back the latest training techniques. This means your training is always cutting edge. I’m interested in fitness training, toning and/or weight management. Is karate a good option? The great thing about karate is the mix of aerobic and anaerobic activity. That means you get the cardio you need to build your fitness and the resistance training to tone and build strength! How long does it take to get your next belt? If you’re training regularly – one to two times per week – you should be ready for your first grading in three to four months. The further you progress in your karate training the higher the bar is set and the time between your gradings will get longer. It’s important to remember that everyone is different and on their own journey. Remember, it’s about pushing yourself to be better. How many belts are there? There are 10 belt colours from white to black belt. White (9th Kyu) – Yellow (8th Kyu) – Orange (7th Kyu) – Green (6th Kyu) – Blue (5th Kyu) – Purple (4th Kyu) – Brown (3rd Kyu) – Brown (2nd Kyu) – Brown (1st Kyu) – Black (1st Dan). There are ten degrees of black belt, called dans. I really want to be a black belt – how long does it take? It takes years of training and dedication to become a black belt. Achieving a black belt is both a physical and mental endeavour and depends on the individual. Come along and we’ll help you start your journey.